Q : What is Sheldon Store? 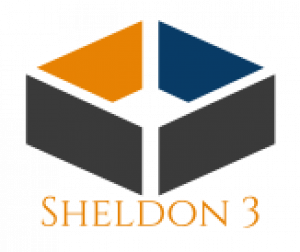 Sheldon Store is the first platform created by Sheldon Trinity, for the sole purpose of giving cryptocurrency users a place to spend their cryptocurrencies on real life products and services. Q : What is this campaign about? We are raising funds to help us improve order processing and delivery times by creating a Reserve Inventory. This will enable us reduce the time delay in inventory refill by processing orders directly from the Reserve Inventory while the main inventory is being refilled. Q : Why should I invest? At Sheldon Trinity, we are dedicated to providing valuable services to the entire crypto community. By investing, you are bringing us a step closer to achieving that goal. We are also looking to develop and publish our very own Android and IOS apps. By doing so, we will be introducing our services and all the cryptocurrencies we accept to a new audience. However, an Android/IOS app means more exposure, more customers and more orders. This means our order processing and delivery time need to be greatly improved to be able to handle the growth. By investing, you are helping us do just that. Q : What do I get as an Investor? Every investor gets a return on investment (ROI). Investments between $100-$999 gets a 20% ROI paid out between the first 5 months of investment. This is either paid by 20% monthly or paid out at once (depending on the total number of investors in this category). Investments above $1000 gets a 30% ROI paid out between the first 6 - 8 months of investment. This is either paid by 13% monthly up to a maximum of 8 months/total investment paid out or paid out at once (depending on the total number of investors in this category). Q : I am ready to invest. What do I do? Kindly go to campaign page, input the amount you wish to invest in the text box and click on donate to proceed to checkout. Q : I just made an investment. What happens now? All funds are held by the StartMy.IO team till the end of the campaign date. If the goal is reached, we get the funds and will contact you by email. If not, they are sent back to you. Q : I have questions. Who do I talk to? For questions/inquiries, please send an email to [email protected] and we will be happy to help.